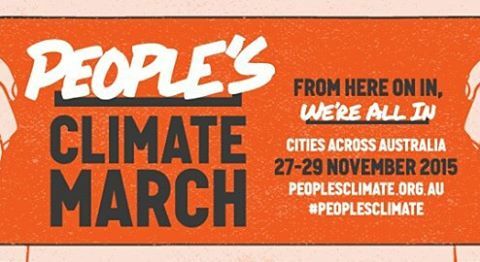 Last night Bass Coast Shire Council voted, unanimously, would you believe, to become Partners with People’s Climate March. Can we publicise/leverage that other councils should also sign up? Can enough initiative by Local raise hopes for success with more commitment with State(s) and Federal, for Paris and beyond? It will take huge WW2 scale of effort but there is still time to to stop and reverse CO2 emissions, so that our one and only planet is not warmed so much that it’s unrecognisable. This entry was posted in Events local and tagged Bass Coast Shire Council, emission reductions, Paris, People's Climate March, UNFCCC, zero carbon. Bookmark the permalink.